I just upgraded to Ubuntu 8.04 ‘Hardy Heron’ six months ago. My hardware devices like graphics card, audio, keyboard, wireless card, touchpad, and webcam are now functioning well after applying a series of fixes, and I’ve got all my essential applications installed. I’m really at peace running Hardy on my Macbook Pro that I have never touched my OS X ‘Leopard’ for the longest time. 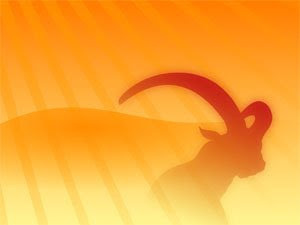 A few days from now, Ubuntu 8.10 codenamed Intrepid Ibex will be unleashed. This upcoming edition will have new features and innovation that will surely encourage non Linux/Ubuntu users to try it. But to those who have just upgraded several months ago and have a flawlessly running Ubuntu desktop just like me, is there a need to upgrade to Intrepid Ibex? Since I’m still undecided, I want you all to help me out with this one. You can answer our poll question below, or just share with us your thoughts via comment. If you now have a perfectly running Ubuntu desktop, will you still upgrade to Intrepid Ibex? I think this is a problem with a six month release cycle. While you don't have to upgrade to the new release, you will read a thousand reviews talking about how great it is, you'll start to feel left behind and the next thing you know you're hitting that upgrade button. I say fight the urge! Stick it out with your current install for the next year. I ran dapper until hardy came out, and I don't really feel like I missed a thing. That's just my .02.
go for it if you are dissatisfied with youtube audio issues. Ibex ships with flash player 10 and I see improvements in the overall audio experience. Yes, so you can make developers happy because they get to use the fancy new functions available to them. look at kde 4 and now vista service pack i dont diagree with first comment surely 6 months is too tight for a stable upgrade .......unless your hardware is super up to date! I just got a new Dell 1525 that shipped with Hardy but isn't configured for 64 bit, so for that reason I will go Ibex, but otherwise I would wait. I hung on to feisty until Hardy.